Do we have a good one for you today – the new Xiaomi Mi 5 goes up against the Samsung Galaxy S7. These two metal framed and glass smartphones define the word, premium. There is also an MI 5 Pro that has a ceramic backing, but for this comparison, we are sticking with the main device – 3GB of RAM and 32GB of internal storage. The Mi 5 and Galaxy S7 both use the 3D glass backing that looks great (except for fingerprints), but can be somewhat fragile if dropped. The Galaxy S7 with its sculptured metal edges is the clear winner in premium looks and feel, but then, there is a big price difference to consider. We will first look at the similarities between these two devices and then look at each one in more depth. The Xiaomi Mi 5 and the Samsung Galaxy S7 are almost identical in physical size – which is understandable since their displays are the same size and both strive to use very narrow bezels – although the Galaxy S7 weighs in at 23 grams heavier. While their displays are virtually the same size (5.15-inches vs 5.1-inches), they use different technologies and different resolutions. The devices use the same Snapdragon 820 quad-core processor, although outside the US, the Galaxy S7 can also use Samsung’s Exynos 8890 octa-core processor. They both use the Adreno 530 GPU or the Samsung Mali-T880 MP12 with the Exynos processor. They both offer 32GB/64GB models, with the Mi 5 also offering 128GB in the Mi 5 Pro edition while the Galaxy S7 offers memory expansion to 200GB via a microSD card. They both sport excellent cameras, but go about it in a different way. Each incorporates a fingerprint sensor for unlocking the device as well as authorizing mobile payments. Android 6.0 Marshmallow is running on both devices, although the Mi 5 uses their own MIUI 7 overlay and Samsung uses their own TouchWiz. Both have the usual suspects – WiFi, Bluetooth v4.2, GPS, NFC and a microUSB port (Type-C on the Mi 5 and v2.0 on the Galaxy S7) and both use a non-removable 3000mAh battery for power, and both offer rapid charge. 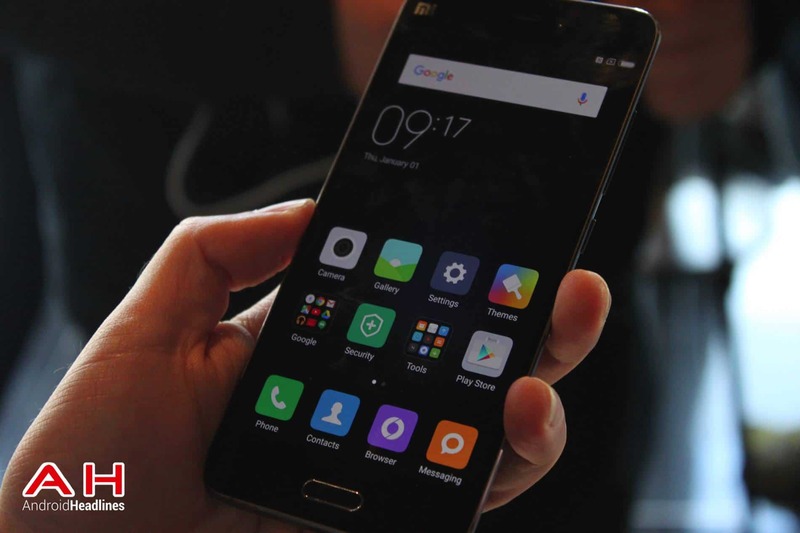 Xiaomi is another one of those Chinese success stories – founded in 2010, it has used the recipe of high quality, solid build and low pricing to quickly become China’s largest smartphone manufacturer in 2015…the only thing holding them back is their reluctance to go with worldwide sales, although there are hints that will be happening soon. The new Mi 5 took a while to come to market, but rather than use the Snapdragon 810, they made a wise decision and waited until the new Snapdragon 820 was available. It is a beautiful device designed with a metal frame and edges with Gorilla Glass on the front and the back, although the Mi 5 Pro uses a Ceramic backing. Just how does this Chinese device stand up to the likes of the Samsung Galaxy S7? Xiaomi decided to stick with the Full HD (FHD) resolution because on the 5.15-inch IPS LCD display, you still get 428 pixels-per-inch (PPI) and it will save on battery life. The Mi 5 uses the latest processor from Qualcomm, the Snapdragon 820 quad-core with dual cores clocked at 1.6GHz and dual cores clocked at 2.15GHz. The Mi 5 packs 3GB of DDR4 RAM with options of 32GB and 64GB of non-expandable storage – the Mi 5 Pro packs 4GB/128GB of storage. Xiaomi smartphones have always had a decent camera and the MI 5 looks like it will uphold this tradition. The main camera sports a 16MP Sony sensor with an aperture of f/2.0, phase detection autofocus, dual-tone LED flash and OIS (4-axis) and the front-facing camera (FFC) is a 4MP for selfies and video chatting. The Mi 5 uses a 3000mAh non-removable battery with Quick Charge 3.0 that can give you an 83-percent charge in only 30 minutes. While the Galaxy S7 has more features, the Mi 5 has a couple of its own quirks – it does use the newer Type-C reversible connector and does pack a built-in IR Blaster, which was once a Samsung staple that has since been removed. It measures in at 144.6 x 69.2 x 7.3 mm and weighs in at 129 grams. The model we are looking at is the base 3GB/32GB model, which is available for a discounted price of $388 – there is also a 3GB/64GB model for $488, and the Pro model with 4GB/128GB at $589. The Samsung Galaxy S7 retains the same size display of the Galaxy S6, and even the outside of the S7 does not physically look too different from the Galaxy S6 it replaces. There are a couple of subtle changes if you look close enough – the top front of the device slopes down ever so slightly to make it easier to hold up to your ear and the sides are slightly curved to make it easier to pick the S7 up from a flat surface. Samsung keep most of the changes or upgrades to the inside the device. This did take away from the excitement of the Galaxy S7’s arrival, but the refinements still make the Galaxy S7 an appealing device with that body of curved metal and glass. In this comparison, we are looking at specifications and the innovations of these two devices, so let’s take a closer look at the new Galaxy S7. The Galaxy S7 has a beautiful 5.1-inch Super AMOLED ‘always-on’ display with a QHD resolution and 577 PPI. The Galaxy S7 uses either the newest Snapdragon 820 quad-core processor with dual cores clocked at 1.6GHz and dual cores clocked at 2.15GHz if you live in the US or an Exynos 8890 octa-core processor with four cores clocked at 1.6GHz and four cores clocked at 2.3GHz. The S7 packs 4GB of DDR4 RAM and offers either 32GB or 64GB of faster UFS 2.0 memory, and offers room for expansion up to 200GB via a microSD card – the Mi 5 offers no expandable memory. The Galaxy S6 had an award-winning camera, but Samsung still decided to do a major overhaul to the camera on the Galaxy S7. Last year’s favorite 16MP shooter on the S6 models is gone and rather than increasing the pixels, they replaced it with a new Dual Pixel 12MP that has a larger sensor than the old 16MP used, allowing it to take in more light and information. They increase the aperture to f/1.7, they included faster phase detection autofocus, auto HDR and retained the OIS – it was already cited by DxOMark as the best mobile camera currently available. The Galaxy S7 uses a 5MP wide-angle lens with a larger f/1.7 aperture and Live HDR for its FFC allowing for excellent low-light selfies and video chatting. The S7 includes a larger 3000mAh non-removable battery with quick charge and quick wireless charging as well. What features distinguishes the Galaxy S7 from the Xiaomi Mi 5? The S7 offers IP68 water and dust resistance. While you can use Android Pay, you can also use Samsung Pay to make mobile purchases just about anywhere you can swipe a credit or debit card. The S7 also has a heart rate monitor, oxygen saturation sensor and quick wireless charging. The S7 measure 142.4 x 69.9 x 7.9 mm, weighs in at 152 grams and is available in Black, White, Gold and Silver, costing about $670, although the carriers are offering many specials at this time – even BOGO. This was a tough one to choose, because, in my heart of hearts, I know that the Samsung Galaxy S7 has more features and is widely available to use on most networks around the world. It has the QHD Super AMOLED display, more RAM, expandable memory, heart rate monitor, oxygen saturation sensor, Samsung Pay and IP68 water resistance…but it comes with a $670 price tag. The Xiaomi Mi 5 is a beautiful and well-built device, has a great display, the same processor as the Galaxy S7, only 1GB less of RAM and an IR Blaster for only $388 – you could buy almost two Mi 5s for the price of one Galaxy S7. 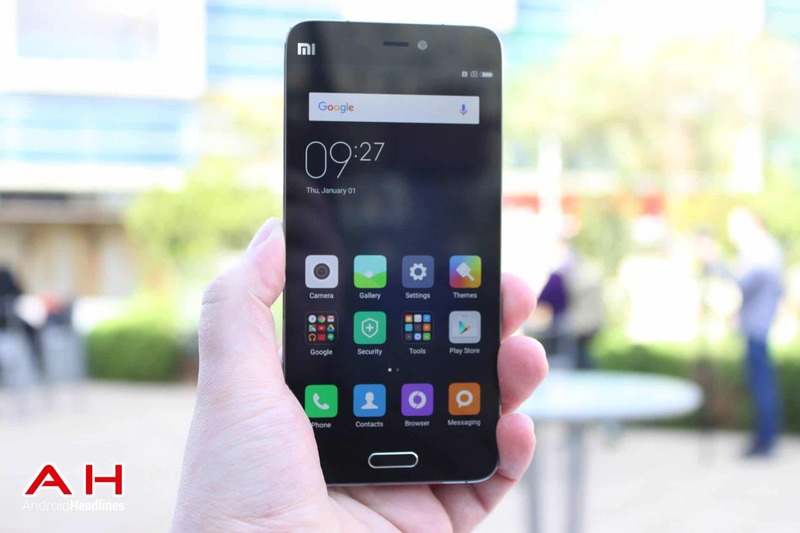 For this reason – it is such a bargain – I am picking the Mi 5 as the winner of this comparison. 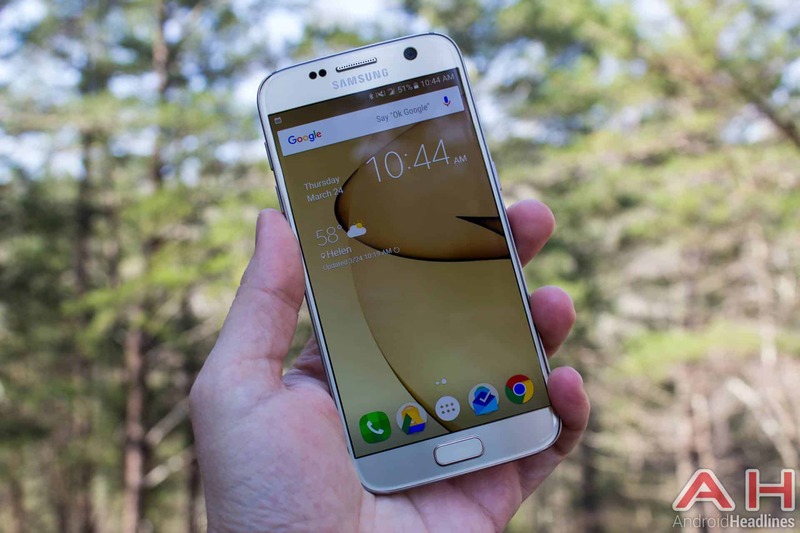 If you need a smartphone that will work on more networks, or you need expandable memory or the features that the Galaxy S7 has, then buy one, as you will not be disappointed. If we were comparing the Mi Pro model with 4GB of RAM and 128GB of storage for almost $600, then the Galaxy S7 would be the winner for sure. 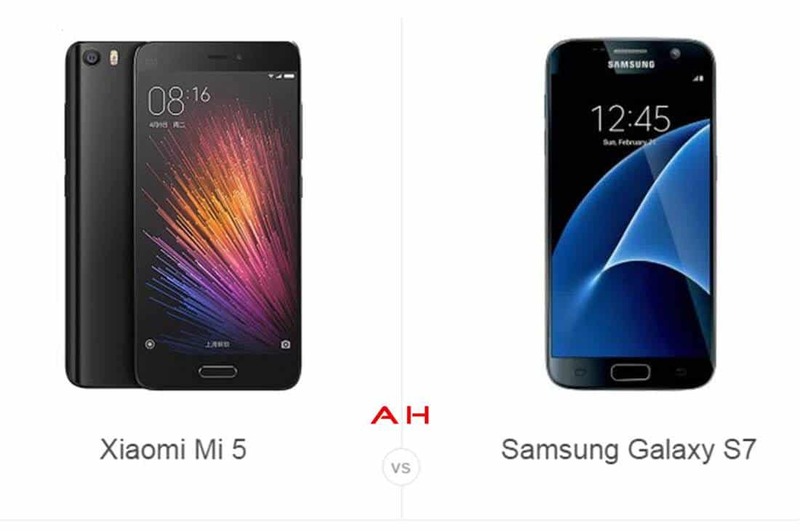 The post Phone Comparisons: Xiaomi Mi 5 vs Samsung Galaxy S7 appeared first on AndroidHeadlines.com |.